Now that we’re actually living in the lakehouse, I’ve started finishing some of the projects I abruptly abandoned in the fall. Among the most pressing: priming and painting the formerly oaky interior doors. 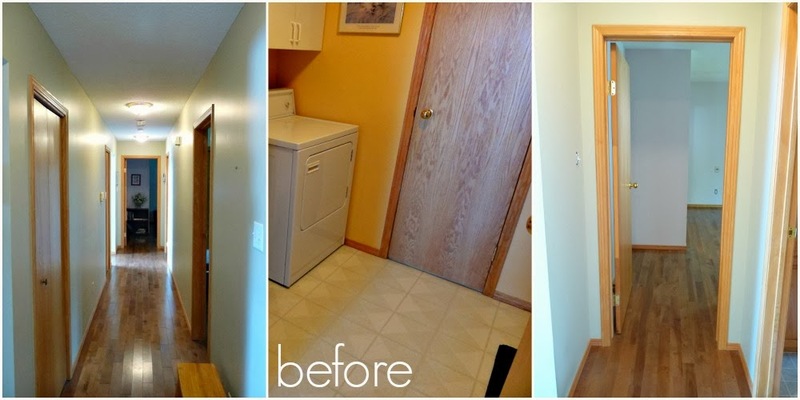 In my enthusiasm for tackling lakehouse projects I had removed all of the doors – including those to the bathrooms – and piled them in the garage. Then I had to leave, and the doors stayed untouched. 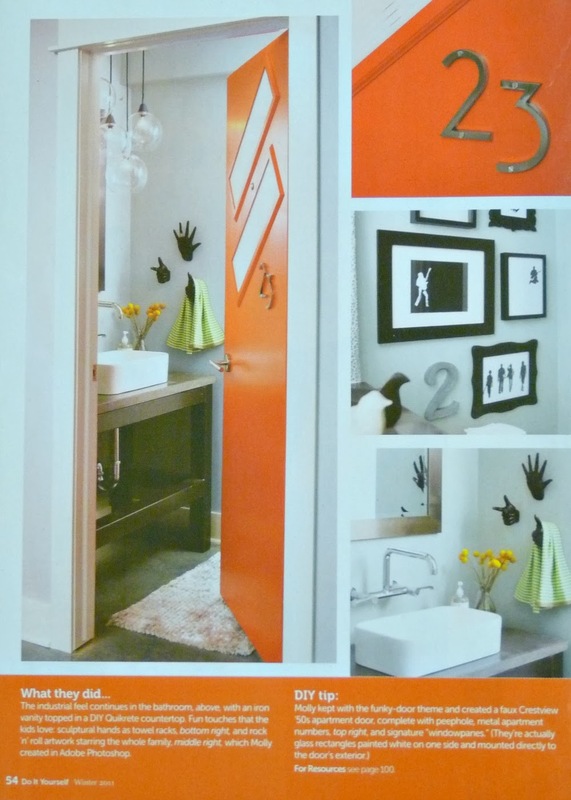 Getting them painted and back on their hinges is high on my list of priorities, starting with the bathroom door. 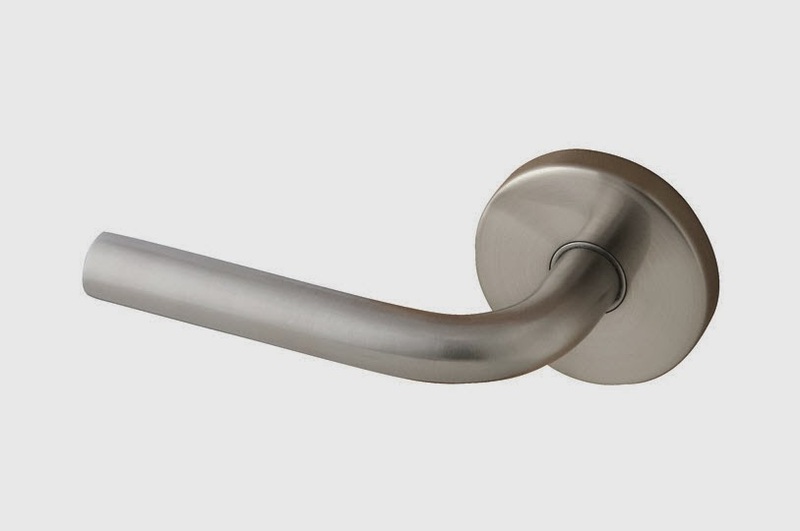 Luckily, I already found some incredibly stylish new door hardware. 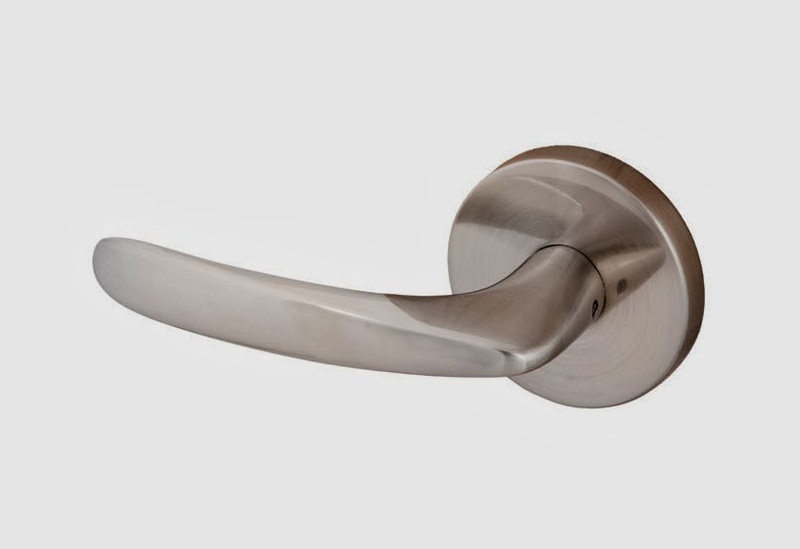 I’d been on the hunt for new door hardware since September, and was specifically looking for something with a mid-century feel after spotting a sleek lever in a magazine. I had ripped out the page back in 2011, ready with hardware ideas before we even thought about moving from the townhouse. I was so happy when I found the Juneau, from Sure-Loc, because it is identical to what I had been looking for! I know gold is back in with a vengeance but, although I love it, with my penchant for turquoise, mint and teal, I really prefer the cool look of a satin stainless finish. 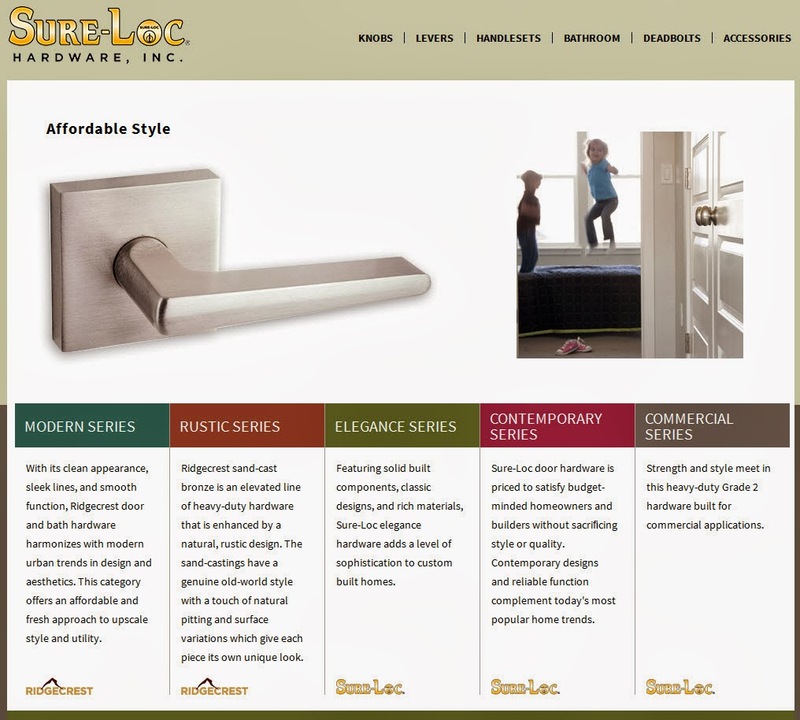 It was really easy to navigate around the Sure-Loc website because the hardware is organized by style and series. I spent quite a bit of time ogling the “Modern Series,” where my Juneau style was found. I also contemplated the Oslo and Torino, below, but the Juneau is perfect. I’m really excited because when we moved into the townhouse we gave the doors a new coat of paint and replaced the cheap, 1980s gold knobs with inexpensive satin stainless tulip knobs. 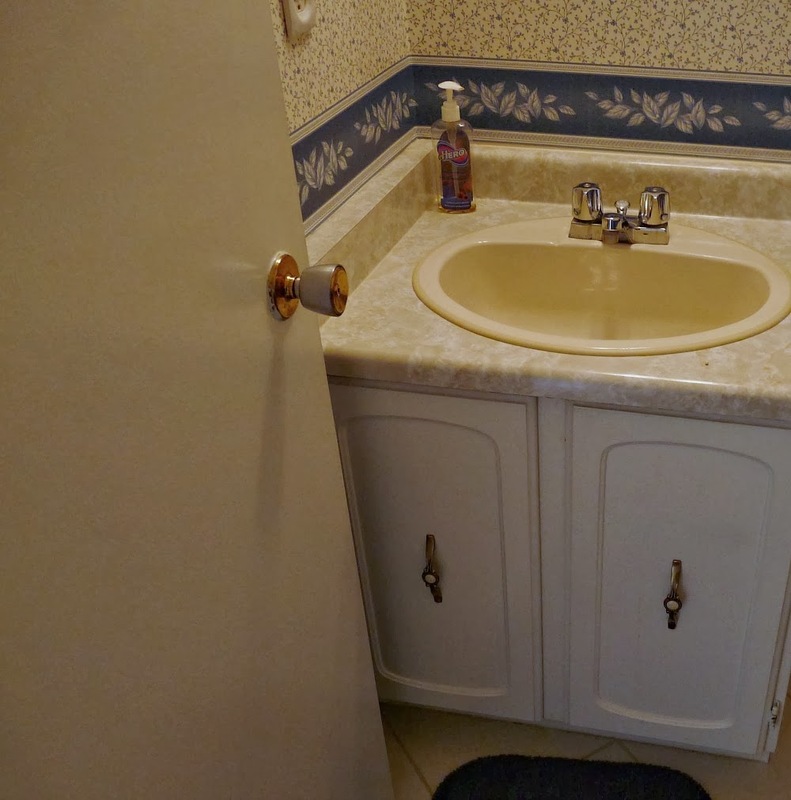 Below is the best photo I have of the “before” (see here if you missed the transformation of this powder room). The simple update just helped the entire house feel brand new. door hardware: in addition to replacing all of the interior and exterior door hardware in the townhouse, I also replaced the handles on my jewellery armoire and filing cabinet. I am hardware-crazed. I'm so used to knobs, I'm weirdly excited for levers! 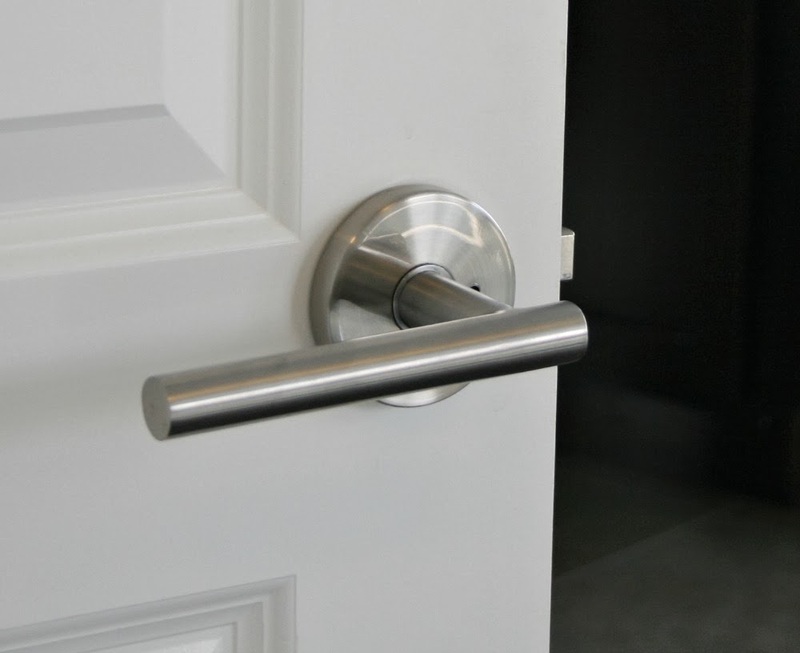 I used Direct Door Hardware for my exterior doors and I found the service (and selection) to be quite good. It must be exciting to be in your new home! Can't wait to see what you do! Also, there may be a typo in your first sentence – "we're actually living in the townhouse." I'm guessing you mean the 'lake house.' In any case, congrats and enjoy!! Thanks for catching that!! Old habits die hard. I suspect you will catch me writing townhouse many more times, lol. We had no door on our bathroom after we renovated for about a year and then we had a go at hanging our first door and we accidentally hung it upside down so now its on but has no handles! Luckily theres just my partner and I that live in our house and when my friends/family need a shower I just tell them to put something in front of the door so I dont get any surprises 😉 Oh the joys of home DIY. I always say the first try is the practice go, we'll get it right for the rest of the doors … I hope! Oh gosh, that must have been frustrating!! I hope the other doors go up smoothly for you. Maybe I need to keep the doors off to deter too many overnight guests, would it work? Lol. 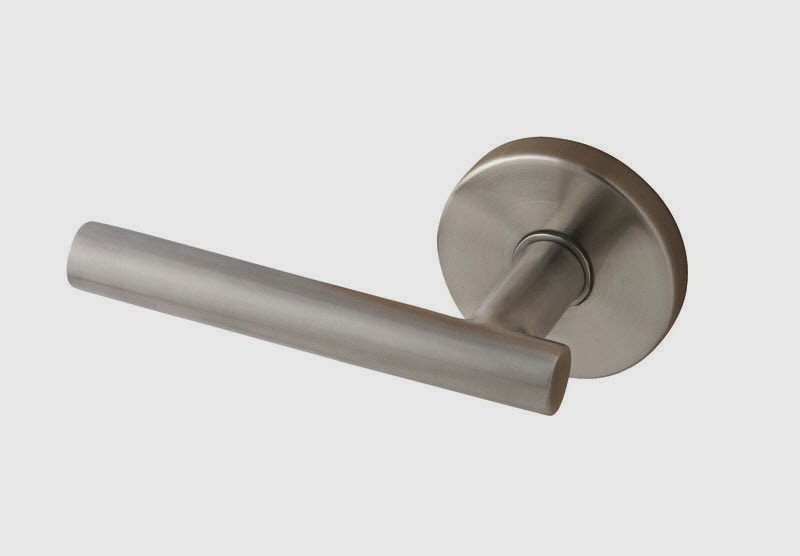 Levers are good because with full hands elbows can be used to get through a closed door! Our house only has levers and I didn't realize how much I would like them. In British Columbia all new house construction must have levers for door handles. Much easier as a senior to open a door. That's so interesting about BC construction! I didn't know there was a lever law (lol). They are much handier. My only complaint is that if I'm really crashing around the house, I have gotten my clothing caught, haha, and walking into them seems to hurt more than a knob. But I think that could be solved by my slowing down! Been there done that! But you know, I've caught myself on knobs as well!